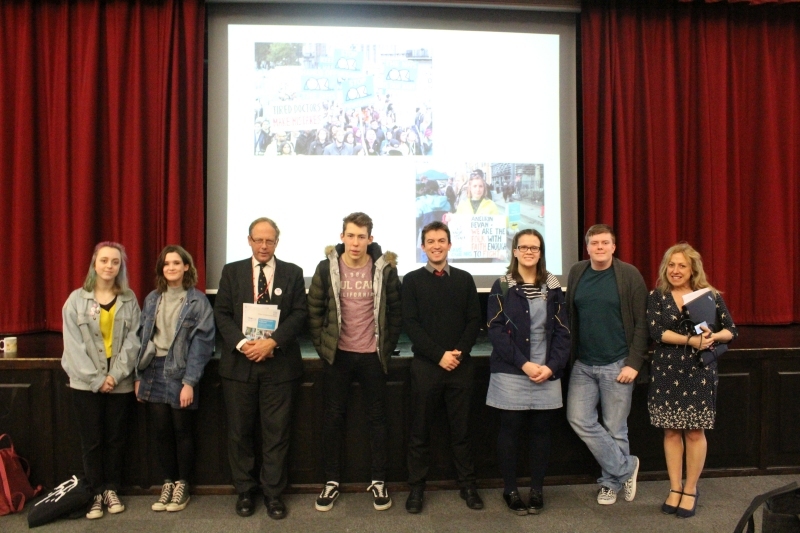 On Wednesday 22nd February Year 12 welcomed Dr Jon Orrell as the latest in this year’s series of guest speakers. Jon’s theme was The Crisis in the NHS and the consequences for Dorset County Hospital. He covered the latest developments in government policy and explored what the government’s plan will mean for local services in the future. It was a relevant and thought provoking talk. Our photo shows Dr Orrell (3rd from left) with Sixth Formers and Mr Bewley and Mrs Taylor.